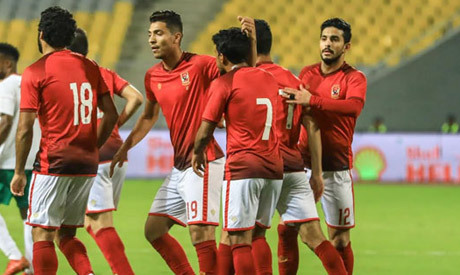 A confident Ahly side will be looking to maintain their recent revival and keep in touch with leaders Zamalek when they meet 12th-placed Dakhleya in the Egyptian Premier League on Saturday. The Red Devils looked to have recovered from a dire form last month which saw them lose the African Champions League final to Tunisia's Esperance before exiting the Arab Zayed Cup at the hands of UAE club Al-Wasl. They also slumped to a surprise 1-0 loss to Arab Contractors in the league before recovering with four straight wins, giving their fans hope that they can still challenge for the title, which they had won the past three seasons. Their fans are also optimistic that the team can be even stronger in the second half of the season as they made several high-profile acquisitions for January, including the signing of Huddersfield's Ramadan Sobhi, a product of their youth academy, on a six-month loan deal. Their match against Dakhleya is also their last encounter under the guidance of interim coach Mohamed Youssef, who will return to his role as an assistant when new Uruguayan boss Martin Lasarte takes over against Pyramids on 4 January. "We are now fully focused on the match against Dakhleya after securing passage to the African Champions League group stage. The players are determined to continue the winning run," Youssef said on the club's official website. Ahly lie seventh in the table with 23 points from 11 matches but they will close to within three points of Cairo rivals Zamalek if they win their rescheduled games. With Zamalek chalking up an eighth straight win after beating Petrojet 2-0 on Friday, Ahly can ill-afford to drop any points.